The General Data Protection Regulation, better known as GDPR, took effect on May 25, 2018. It’s a set of rules designed to give EU citizens more control over their personal data. Any businesses established in the EU or with users based in Europe are required to comply with GDPR or risk facing heavy fines. Keep in mind that it’s best to contact qualified legal professionals, if you haven’t done so already, to get more information and be well-prepared for the upcoming changes. 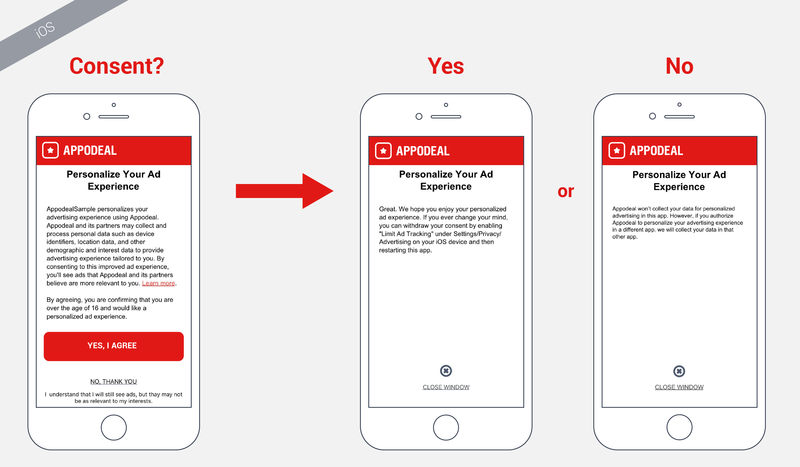 GDPR affects ad mediator, ad networks and app publishers differently. To learn more about how GDPR can affect your business and the steps you can take to comply, check out our recording of the webinar “Demystifying GDPR Compliance”. One of the most important actions to take in order to comply with GDPR is to acquire consent from end-users based in EU. Our beta 2.4.1 version of the GDPR-friendly SDK with Parallel Bidding included is available for download.